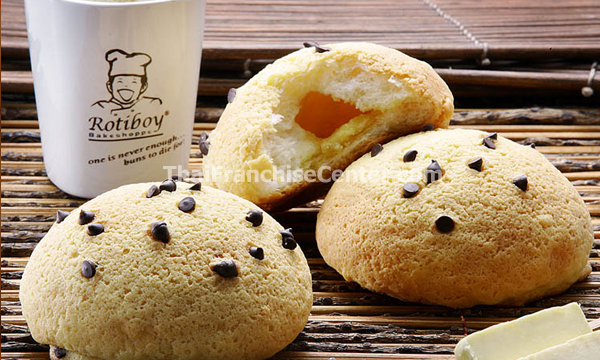 Rotiboy offers Franchise / Waralaba business opportunity in Indonesia in Food Industry, especially in Bread Products. Rotiboy Bakeshoppe founded in April 1998 in Bukit Mertajam, Penang Malaysia by Hiro Tan. 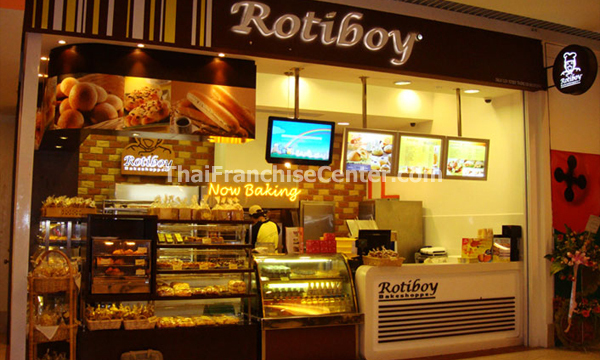 One of the advantages of Rotiboy franchise is not required a big place. Because the production area is not done in the outlet, even not displayed. With only 30 m2 size can be used to open the outlet. The advantage of Rotiboy is served warm or hot bread, and also quite affordable price of Rp. 6000 per piece (~US$ 0,7). Rotiboy prospers with a mission to provide fresh, good quality bread and great tasting cakes to customers in the neighborhood. With strict control on shelve life to ensure freshness and taste, Rotiboy become a household name in Bukit Mertajam. In the four years that in Bukit Mertajam, Rotiboy were known for the freshly made cakes and high quality bread. Rotiboy moved to Kuala Lumpur and started its first outlet in Wisma Central, jalan Ampang in January 2002 and since then have experienced phenomenal growth in the sale of its Mexican bun, now branded as Rotiboybun or Rotiboy. If you’re interested to open a business opportunity with them, For Indonesia, the Master Franchise is held by Mrs. Liza Susanto, you can contact at Mal Taman Anggrek Ground Floor, Jakarta. Phone : (021) 5639993. Or you can contact directly to Rotiboy International. Address 22, Lorong Paya Lebar, 536320, Singapore. Indonesia Master Franchise : Mal Taman Anggrek Ground Floor, Jakarta.